- Environmentally friendly - Nitrogen gas closed loop refrigeration cycle to liquefy the natural gas. Get maximum out of you Grain with our customized specially engineered Liquefaction Plants. Our Liquefaction plants are designed to effectively reduce mash viscosity, solubilize entire Starch into Dextrins and prepare a perfect substrate for fermentation. 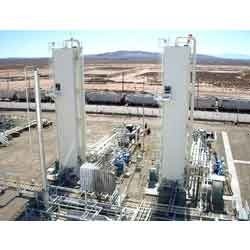 - We manufacture, supply, install and commission Freon / Ammonia based Gas Liquefaction Plants required for liquefaction of gas like Carbon Dioxide. REFCON design, manufactures, supply, install and commission Freon / Ammonia based Gas Liquefaction Plants required for liquefaction of gas like Carbon Dioxide. 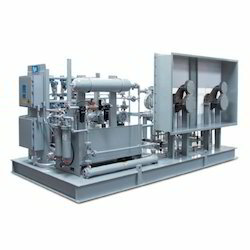 - Water Chilling & Brine Chilling Plants in Range of +10 To -30 Deg c with Reciprocating & Screw Compressor. We are offering Chemical Industry Refrigeration System. A liquefaction facility cools gas to -160 C, condensing it to 1/600 of its volume, allowing for economical transportation.